Taught me what the tools do. Learning about editing software can be quite overwhelming. 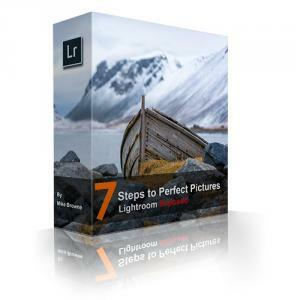 The 7 Steps to Perfect Pictures course is so well structured with the worksheets, exercises, videos and images to practice with. Mike is a natural at explaining things clearly and simply which enabled me to grasp what many of the tools can do. I would be prepared to pay between £150-£200 for this course but I appreciate everyone has to adhere to different budgets. Most practical one day workshops I've been on locally have been priced at around £85. The Perfect Pictures course is very good value for money and I'll always have the resources to refer to as and when I need to. I recently joined the local camera club. I now have the confidence to shoot in RAW and have started submitting images for in-house competitions. The club recently exhibited a selection of photos in the local museum and I was really pleased to take my family along to show them my images that were on display. Mike has a gift of explaining things clearly and simply so that it all begins to make sense. He always puts himself in the position of the learner and inspires you to go out with your camera and give it a go!